GREEN BAY – State Representative Staush Gruszynski (D-Green Bay) offered the following remarks after Assembly Minority Leader Gordon Hintz (D-Oshkosh) announced his decision to appoint Rep. Gruszynski to the Speaker’s Task Force on Water Quality. 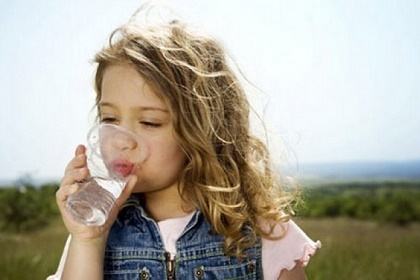 “Every Wisconsin resident deserves access to clean, safe drinking water. Unfortunately, far too many Wisconsinites currently lack access to a safe tap water source. In our cities, unsafe water may be a symptom of outdated, unsafe lead service lines connecting homes to municipal water mains. Residents living in rural areas are dealing with contaminated, undrinkable wells resulting from broader groundwater pollution. I think we can all agree that in 2019, no one should have to worry about whether their family is at risk when they turn on the tap,” Gruszynski said. “In the coming months, I look forward to collaborating with members of the public, scientists, legislative colleagues, Governor Evers’ administration, the Department of Natural Resources and other state agencies, and all of the local stakeholders committed to clean drinking water. Together, we can find solutions to this critical public health and environmental challenge so Wisconsin can become a leader in the fight for clean, safe water,” Gruszynski concluded.